Josh Cobbley, MS, OTR/L, CEAS, CWCE, is the founder of Northwest Return to Work. He is a certified work capacity evaluator (CWCE) and has been practicing in the area of industrial rehabilitation for over 20 years. Josh’s specialty is providing Functional Capacity Evaluations (FCE’s). He takes pride in approaching his assessments as a “thinking evaluator” and does not rely on a wrote or pre-packaged FCE system. Josh has administered and reviewed thousands of FCE’s. He performs/assists and reviews evaluations on a daily basis and regularly attends advanced training classes. Josh completed his undergraduate and graduate work in Chicago, earning a bachelor of arts in biology from North Park College and a master of science in occupational therapy from Rush University. He is also a certified ergonomics assessment specialist. Alejandro joined Northwest Return to Work (NWRTW) a multidisciplinary medical services group of clinics in March 2018 as CEO. He has more than a decade of experience in the medical services industry and profound understanding of the occupational rehabilitation arena in Washington State. Before joining NWRTW, Alejandro has been an Angel Investor and a serial entrepreneur for over a decade. Previously, Alejandro had spent 12 years in the High-Tech sector, the last four as Director of Business Development for the Americas and Southern Europe. He obtained his MBA from Seattle University’s Albers School of Business and Economics in 2004. He graduated with honors and is a member of the Beta Gamma Sigma honors society for business and management. Alejandro also possess a B.S. in Industrial Engineering from University of Lima in Lima, Peru, where he graduated in 1992. Emily Behm, PTA, grew up on the east coast riding and jumping horses. She completed her Physical Therapist Assistant training at Green River Community College where she graduated with honors in 2013. Prior to becoming a PTA she was a successful Massage Therapist working with a variety of patients. Outside of work she enjoys mountain biking, hiking with her dog, photography and camping. Denise Casey-Durham, COTA/L, is a certified occupational therapy assistant, who was born and raised in Seattle, Wash. She graduated with bachelor’s degree in psychology and sociology from Central Washington University and an associate degree in occupational therapy from Green River Community College. After suffering an injury at a previous job, Denise developed a passion to help others return to maximum health and gainful employment. Outside of work, she enjoys spending time with family & friends, reading, and all things basketball. Anne Good, PTA, is a licensed Physical Therapist Assistant, who was born and raised in Seattle, Wash. She graduated with a bachelors degree in Communications from Washington State University and led a successful career in sales & import management. Anne developed a passion for physical therapy after experiencing successful rehabs for injuries from recreational activities. She returned to school and completed her Physical Therapist Assistant AAS degree at Lake Washington Institute of Technology. Anne has a strong desire to motivate and help others achieve their rehabilitation goals. Away from work, Anne enjoys training her dog in dog sports, mountain biking, camping, and the outdoors. Dena Goodman, MS, CCC-SLP is a speech-language pathologist who was born in New Jersey and raised in Los Angeles, CA. She received a bachelor of arts in language studies with a focus in Spanish and a minor in education at University of California- Santa Cruz, including studying abroad for a semester in Spain. She went on to teach elementary school for two years. With a strong passion for communication and language, she later decided to continue her studies to become a speech-language pathologist. She received a bachelor of science in speech and hearing sciences at University of Washington and a master of science in communication disorders and sciences at University of Oregon. She has been working primarily in rehab and nursing centers until joining the BIRT program at NWRTW. Outside of work, she enjoys gardening, cooking, spending time with friends and family, and raising her cats. Carla graduated from the University of Puget Sound with a bachelor of science in psychology and a bachelor of science in physical therapy in 1984. She has several years of experience in both outpatient orthopedic and industrial rehabilitation. Her professional passion has always been to assist people with return to activities and work. She has been involved with functional capacity evaluations for more than 20 years and plans to become certified in the Matheson system of FCE this year. Annie Horman, OTR/L, is a Pacific Northwest native. 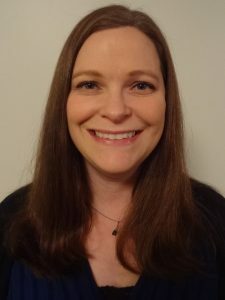 She received a master’s degree in occupational therapy from Columbia University in New York and a bachelor’s degree in sociology and economics from Whitman College in Walla Walla, Wash. She was drawn to be an occupational therapist because she loves working with people with a holistic approach. She enjoys spending time with family and friends, hiking, biking, swimming, and traveling. Ingrid Junker, OTR/L, CWCE graduated from the University of British Columbia in Occupational Therapy in 1993. She has had several years of experience working with people with chronic pain and also industrial rehabilitation. She is certified in the Matheson System of Functional Capacity Evaluation and has trained at the Masters Level in this area of assessment. She is also trained in the Matheson System of Ergonomic Evaluation. She joined the Northwest Return to Work team in 2010. Travis Lee completed his Physical Therapy Assistant training from Whatcom Community College in 2014. Travis works several days per week at both the Mount Vernon and Lynnwood locations and enjoys working as a member of the rehab team to assist clients in meeting their goals. In his free time, he enjoys fishing, hunting, hiking, and cooking. Julia Lim received her bachelor of arts in English at the University of California, Riverside in 2012, before spending a year with a nonprofit organization called City Year, educating/mentoring youth in the Greater Los Angeles, where she grew up. She realized her compassion and empathy would the leading factor in her professional life, and proceeded to graduate from Stanbridge University where she received her associates degree in occupational science. Since then, most of her time was spent in mental health and geriatrics until she relocated to Washington and began working in industrial rehab early 2018. Nate earned his Doctorate of Physical Therapy from the University of Washington in 2005. Since then, he has been practicing in both his home state of Hawaii and Washington before settling at NWRTW in 2018. Nate has experience in both sports and orthopedic rehabilitation and is now bringing his skills to our Outpatient Industrial Rehab clinic. He enjoys going to the beach, eating good food, traveling and spending time with his two senior dogs. Yousif is a physical therapist assistant who graduated from the River Valley Community College in Claremont, N.H., in June 2011. Yousif began his career working in a skilled nursing facility and then an inpatient rehabilitation setting at Swedish Covenant Hospital in Chicago, Ill. Yousif moved back to Seattle with his wife and cat to be closer to family and soon after began working at Northwest Return to Work. Yousif has a passion for helping others to recuperate from injuries in order to improve their quality of life and return to work. Yousif in his free time enjoys riding his bike, listening to music and spending time with family. Brooke McIntyre received her bachelor’s degree in Psychology at the University of Washington in 2002. She worked in different medical positions (medical records, billing, accounts receivable) prior to returning to school for Occupational Therapy. She received her Masters in Occupational therapy from the University of Washington in 2011. Brooke began her OT profession at a skilled nursing facility in Marysville, focusing on stroke recovery. She joined Northwest Return to Work in 2017, drawn by the mission and values of the company and the supportive team dynamics. Outside of work, she enjoys spending time with her family, having two young boys to keep up with. plays, the arts, enjoying nature especially here in the Pacific Northwest, and playing the church organ. Erin attended Marquette University in Milwaukee, Wisc., from 2011-2017 where she earned her bachelor’s degree in exercise physiology followed by her doctorate in physical therapy. As a long-time lover for all things outdoors (ie: hiking, kayaking, snowboarding) the decision to leave her Midwestern roots and land in Seattle seemed like the perfect option. Erin has been working since June 2017 at NWRTW. 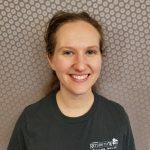 While at work she has found a passion for manual therapy and has the reputation for physically challenging her clients. While at home, she enjoys cooking and exploring Seattle with her significant other and adopted pit bull, Betty. Jenna was born and raised in New York, and received her doctorate in physical therapy from Washington University in St. Louis. She worked in Baltimore, Maryland, for five years in an outpatient setting working with athletes for injury prevention and return to sport before recently moving to Seattle. She is also certified in Trigger Point Dry Needling. She enjoys biking, running, and hiking with her two dogs Ollie and Zoe. Pam Schleg started her career with an undergraduate in Business Administration. She is married with two daughters. The oldest daughter was born with a rare heart defect that required three surgeries and therapy. This not only affected her daughter, but also put Pam on the path to occupational therapy. Pam received her training in Tomball, Texas, at Lonestar College and graduated in 2007. She has worked in a variety of settings that serve to provide her with wide range of skills and knowledge to draw from. She had three years experience prior to joining NWRTW in October 2017. Her hobbies include, volunteering at her church, gardening, urban hiking, watching movies, and getting together with friends. Ericka is a certified occupational therapist assistant who graduated from Lake Washington Technical Institute as a member of the Phi Theta Kappa Honor Society. Her first career was as a stay-at-home mom to their 3 children, however, as they aged she spent a few years working as a Certified Nursing Assistant. After their oldest child suffered a 30 foot fall and her husband a serious back injury on the job, she focused her studies on Occupational Therapy. Having always enjoyed working with people during their journey through healing and the restoration of function, the field of Industrial Rehabilitation was a natural fit. Outside of work she enjoys spending time with family, as well as reading, hiking, traveling, boating and watching the ‘Hawks!! Kristi Stalsbroten, PT, was born and raised in Yakima, Wash. She graduated with a bachelor’s degree in biology from Seattle Pacific University and Doctorate of Physical Therapy from the University of New England in Portland, Maine. Kristi developed a passion for physical therapy in high school, serving as a student athletic trainer, helping athletes prevent and treat injuries. Kristi has a strong desire to help others return to wellness and living life to the fullest. Away from work, she enjoys spending time with family and friends, traveling, reading, playing tennis, decorating, exploring local vintage markets and the outdoors. Kyrstin graduated from the University of Washington with her Masters in Occupational Therapy in 2013. Prior to coming to Northwest Return to Work in 2019 Kyrstin primarily worked with the neurological population (TBI, SCI, and CVA) in the hospital (acute, rehab, and outpatient). She has her brain injury specialist certification. She is also very active with the Washington Occupational Therapy Association (WOTA), currently as president elect. She was born and raised in Alaska, where she worked in tourism and got her bachelor’s in biology with psychology minor. In her free time, Kyrstin enjoys going outdoors (especially kayaking and camping) with her husband and toddler. Betsy Wightman, MS, OTR/L, CWCE, graduated from the University of New Hampshire with a BS/MS degree in occupational therapy. She has worked primarily in industrial rehabilitation and outpatient physical disability settings. She is certified in the Matheson System of Physical Capacity of Evaluation and Epic Lift Capacity Test. She is also a certified ergonomic assessment specialist and has experience evaluating a variety of different work environments. Brett Wolfe, MS, OTR/L, has been part of the Northwest Return to Work team since 2008, helping to maintain a high level of care that is focused on helping patients return to their best and safe level of function. In addition, Brett has experience in manual labor fields, which allows him to help patients apply techniques with a focus on real-world productivity. Outside of work, he is internationally recognized adventurer and endurance mountain bike racer and prior elite level skier. He has coached and counseled athletes at all levels for more than 20 years. Brett has his bachelor in science in industrial design, and a master’s degree in occupational therapy from University of Washington. Dr. Peter Nguyen obtained his bachelor’s degree in psychology at UCLA. He subsequently completed his master’s degree and doctorate degree in clinical psychology with an emphasis in neuropsychology at the University of Florida. He went on to complete his clinical internship at Rush University Medical Center in Chicago and subsequently completed his post-doctorate fellowship in clinical neuropsychology at the Seattle VA hospital. Dr. Nguyen’s research background has largely consisted of investigating brain-behavior relationships and cognitive functioning in disorders such as brain injury, PTSD, dementia, and epilepsy. In his clinical practice, Dr. Nguyen holds a strong personal interest in understanding cultural and diversity factors and he strives to treat each and every patient with warmth, empathy, and respect. Dr. Jill Fancher is the Director Emeritus of our Pain Management Program. She is a licensed clinical psychologist who specializes in health psychology with a sub-speciality in the treatment of persistent pain. Dr. Fancher is a self-described pain geek. She enjoys researching new and advanced pain management approaches as well as working to improve the lives of individuals who suffer with chronic pain. Dr. Fancher is an advocate for people with pain; providing trainings for professionals and resources for individuals with chronic pain. She is the developer of the Mastering Pain Method, a biologically-based self-management approach for chronic pain, and author of Master Your Pain, a workbook for individuals with chronic pain. Dr. Fancher enjoys the various activities, sports, and climates in the Pacific Northwest. Born and raised in Seattle, she is a life-long Seahawks and Mariners fan. She moved to Pullman, Washington and completed her B.S., M.S., and PhD. at Washington State University (Go Cougs!). The last decade she has enjoyed serving people with pain in Vancouver, Washington. Dr. Fancher is excited to bring her passion and program to NWRTW. We are pleased to announce Dr. Michael Santoro as the Medical Director or our newly accredited Structured Intensive Multidisciplinary Pain Management Program (SIMP). Dr. Santoro is perfectly suited to our program as he is an expert at understanding occupational injury and the myriad of issues that surround complex claims. Dr. Santoro is well known for his comprehensive review of claims in addition to his compassionate, fair approach to claim management. His goal is always to move his client’s toward achieving their best sustainable functional capacities by successfully managing disability and whenever possible returning them to productive work. Dr. Santoro’s journey in occupational medicine has involved service in the capacity of company physician for major automobile manufacturers as well as working extensively with the highly regarded University of Michigan Center for Ergonomics. Outside of work, Dr. Santoro enjoys playing the violin and has participated in professional vocal groups including the Indianapolis Opera Chorus. We are pleased to announce Dr. Samuel Lin as the staff physician for our newly accredited Structured Intensive Multidisciplinary Pain Management Program (SIMP). Dr. Lin has been practicing in a predominantly Occupational Medicine setting since graduating with his Doctor of Naturopathic Medicine Degree from Bastyr University. Prior to his Occupational Medicine focus, he began his journey into medicine by working on environmental public health issues in his native country of Argentina. During his early training in public health, as well as subsequent training at Bastyr University, Dr. Lin refined his understanding of complexities of biological systems as they relate to environmental and physical injuries. This understanding, along with his diverse background, provide Dr. Lin with a unique, multi-faceted perspective of health that thoroughly compliments the complex bio-psycho-social systems approach of modern pain theory. Dr. Lin’s philosophy is to focus on ability, rather than disability, and to encourage each client to move towards greater functional capacities. Outside of work Dr. Lin enjoys his family and is an active member of his church. Dr. Andrew Juechter received his doctorate in Naturopathic Medicine and a master’s in Acupuncture and East Asian Herbal Medicine from Bastyr University in Kenmore, Washington. Prior to this he studied holistic nutrition at the Institute for Integrative Nutrition in New York, NY and earned a bachelor of arts in music at Denison University in Ohio. Having a keen interest in pain management and mental health, he employs the skills he learned to compliment a foundational approach to the complex issue of chronic pain. This includes a focus in the areas of nutrition, exercise, sleep and mind-body practices. Dr. Juechter utilizes a variety of modalities to aid his patients including dry needling, orthopedic adjustment, muscle energy stretching, kinesio taping, myofascial release, and craniosacral therapy, as well as focused therapeutic herbal, supplementative and pharmaceutical support. He believes honesty, integrity and compassion are integral parts of an approach to helping empower patients to make long-lasting improvement. Outside of work Dr. Juechter enjoys playing piano and he participates in two bands and previously lead a West African drumming ensemble. Jeanne Carbonetti, CRC, CLCP, is the Vocational Rehabilitation Counselor for Northwest Return to Work. She obtained her Bachelor’s of Science in Psychology from the University of Washington and a Master’s in Mental Health Counseling from Seattle University. 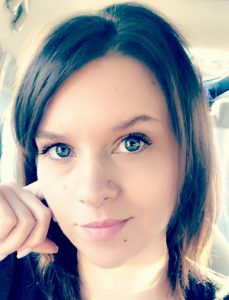 She has worked in the public and private sectors as a Vocational Counselor (6 years in the Workers Compensation arena), an inpatient Rehabilitation Counselor, a Medical Case Writer of Medicare Set Aside and Life Care Plans; and a business owner conducting Life Care Plan research and Case Management. Her philosophy emphasizes the significance of work and the empowerment it brings to an individual. It is her desire to support and educate clients as they navigate through the process toward return to employment. Outside of work, Jeanne’s passions include interior design, road trips, especially along the coast, and spending time with family. Marisa Burgos is our clinic office manager. She was born and raised in Buenos Aires, Argentina where she was a Special Education Professor until she moved to the United States in early 1990. While raising two daughters, she worked as a social worker for 7 years in California before moving to the Pacific Northwest, where she specialized in the Medical and Legal Interpreting field before joining NWRTW SIMP program. 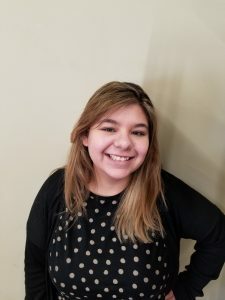 During her free time she enjoys traveling and learning new skills like riding a motorcycle, learning sign language, spending time with family and friends, and reading. Jennifer is the administrative assistant for the specialty programs at NWRTW. Jennifer has more than 20 years experience working in customer service, with 17 of those years being in retail or office management positions. Having been born and raised in the Pacific Northwest, she enjoys being outside as often as possible and in her down time likes to hike, garden, go camping, and spend time with family and her puppy Lucy. Eric Perez, CMAA for occupational medicine department, was born and raised in Cowiche, Wash. He received his certification at PIMA Medical Institute in Seattle where he is continuing his education to receive his bachelor’s degree in health care administration. Eric is bilingual in Spanish and English. 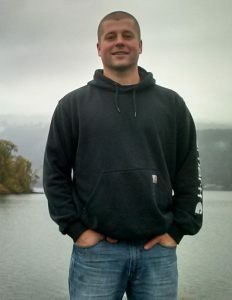 He also played soccer at Wenatchee Valley College for two years and, during his free time, he enjoys traveling, spending time with family and friends, and playing in Seattle’s volleyball and basketball leagues. Amanda joined the team in 2018 as an Administrative Assistant for the Orthopedic Rehabilitation Program after working with a Branding Agency. She grew up in the PNW and attended the University of Washington with a focus in Political Science due to a keen interest in the legal system and social issues. Amanda enjoys volunteering for environmental recovery, going to Farmer’s markets, drinking hot coco on rainy PNW days, and playing with her guinea pig Avocado in her spare time. After receiving his bachelor of science in biology from Western Washington University in 1990, Troy attended Washington University School of Medicine in St. Louis. He completed the Program in Physical Therapy in 1993 and graduated with a master of science in physical therapy. Troy worked four years in the outpatient setting before founding Valley Rehab Physical Therapy in 1997. In 2014, he expanded the practice by joining forces with Northwest Return to Work. He has been a member of the American Physical Therapy Association since 1990. Troy especially enjoys the study of human anatomy and kinesiology. In his spare time, he enjoys spending quality time with his wife and two children and has recently developed a passion for fly fishing. Teri comes to us with more than 25 years of experience in medical office management and administration. Twenty of those years she spent as manager of a large Orthopedic/Physical Therapy clinic in Edmonds, Wash. Outside of work she loves to travel, garden and spend time with her family and dogs. Ginger is a certified occupational therapist assistant and has earned an Associate’s degree in Occupational Therapy from Lake Washington Technical Institute in 2013. At Valley Rehab P.T. and Return to Work Center, Ginger is passionate about helping clients reach their fullest potential in work and play. Ginger enjoys the outdoors, sports and spending time with her family. Jennifer “Jen” is one of our physical therapy assistants. She completed her physical therapy assistant training at Whatcom Community College in 1996. Jen since obtained significant experience in and a passion for work conditioning and work hardening. Jen enjoys helping clients achieve their personal and physical goals and ultimately helping them get back to work with an improved quality of life. Outside of work, she enjoys spending time with her husband and two growing boys. Jay is our certified hand therapist and certified kinesio taping practitioner. With 20 years of experience as an occupational therapist specializing in the treatment of hands and the upper extremity, Jay provides unmatched expertise in the practice of hand rehabilitation services. Throughout those years, Jay also taught certification courses on neuromuscular skeletal evaluations and doctorate level courses in occupational therapy. His unique experiences provide Jay with a deeply comprehensive understanding of the rehabilitation needs of the hand and upper extremity. When he’s not at work, he enjoys spending time with his family and has a passion for cycling and all sports. Steve has a background in counseling, coaching and physical therapy. He received his B.S. in 1983 and then a M.A. in 1988 from Central Washington University. He was assistant volleyball coach at C.W.U. from 1986-88. He then moved to Bellingham, WA to become assistant volleyball coach at Western Washington University for the next two years along with working/lecturing for the drug education department. From there, he worked at junior/senior high schools counseling students and teaching Natural Helpers as well as coaching volleyball. In 1993, Steve went onto graduate from Whatcom Community College with an AA degree in Physical Therapy Assisting. He has worked as a PTA in Skagit Valley since graduating from WCC. He is working toward certification in KinesioTaping in clinical and sports settings. As a certified professional trainer and consultant, he’s helping athletes with their aspirations to enter into junior Olympics, college careers and even professional sports teams, which include the Denver Broncos and the B.C. Lions. He consults with health clubs and fitness facilities regarding exercise protocols, training, nutrition, and program development. Steve’s personal interests include snowboarding, mountain biking, art, travel and teaching skill development and preventative measures to children and young adults, and, spending time with his family. Duane is one of our physical therapists. He obtained a DPT from University of New England in Portland, ME, and a bachelor of science in exercise science from University of Mary in Bismarck, North Dakota. Duane has a background in exercise physiology, sports rehab, and sports performance. He played NCAA Division II baseball at University of Mary for four years and worked in the strength and conditioning field for a couple of years prior to and during graduate school. Duane currently coaches at Composite Crossfit in Everett, Wash., and is a USAW member. In his spare time and when he’s not at the gym, he likes to be outdoors exploring the Pacific Northwest. He also enjoys reading and watching videos about body mechanics and movement. Sandy graduated from the University of Washington in 1998 with a bachelor of science in physical therapy and has over 20 years’ experience working in the field of industrial rehabilitation. In addition to Work Conditioning/Work Hardening, she performs Functional Capacity Evaluations and is a Progressive Goal Attainment Program (PGAP) provider. She has a passion for exercise and has taught group exercise for over 30 years. In her spare time, she loves to garden, go boating, spend time at “the island” and enjoy playing with her four grandkids. Justine joined the Valley Rehab team in 2015 bringing 9 years of administration and customer service experience to Valley Rehab. Outside of work, she enjoys riding horses and competing in rodeo, baking, and spending time with family and friends. Chelsea is one of our occupational therapists. She graduated from Eastern Washington University with a master’s in occupational therapy. 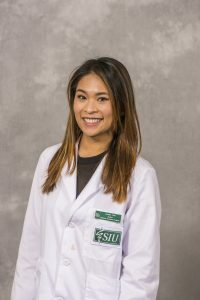 Her prior background includes working in the Dominican Republic with medical service teams and coordinating international student exchange programs. While working alongside a group of occupational therapists internationally, Chelsea fell in love with the profession. She is passionate about empowering people to achieve their highest functional potential so they can return to work and improve their overall quality of life. Outside of work, you can find her kayaking amidst the San Juan Islands, hiking with family and friends, and exploring other cultures.